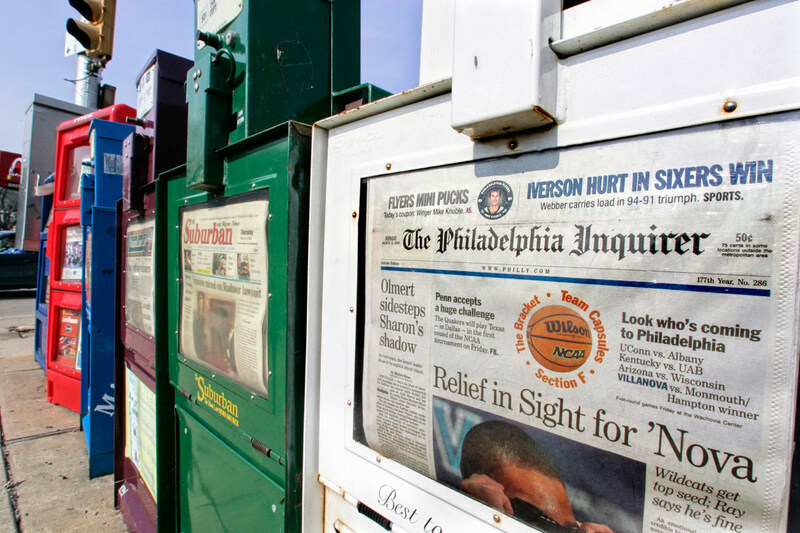 Who’s Really to Blame for the Newspaper Industry’s Decline? Did the massive media conglomerates that gobbled up almost all of the country’s dailies really have the public’s best interests at heart? three of the biggest players in American newspapers—Gannett, Tribune Company and E. W. Scripps, companies built on print franchises that expanded into television—dumped those properties like yesterday’s news in a series of spinoffs. Those spun-off chunks include: USA Today, the Louisville Courier-Journal, The Cincinnati Enquirer, the Detroit Free Press (all from Gannett, the nation’s largest newspaper company); the Los Angeles Times, the Chicago Tribune, the Baltimore Sun (split off by the Tribune Company—the company the Koch brothers considered buying last year until protests drove them back); and the Commercial Appeal in Memphis and the Milwaukee Journal Sentinel (dumped by Scripps and its new partner, Journal Communications). This month’s break-ups follow similar spin-offs in 2013 by both Rupert Murdoch’s News Corp. and Time Warner. Carr is typically clear-sighted on what this all means for journalism, but the fine grist of his analysis oddly seems to miss the, really any, culprit. The persistent financial demands of Wall Street have trumped the informational needs of Main Street. For decades, investors wanted newspaper companies to become bigger and diversify, so they bought more newspapers and developed television divisions. Now print is too much of a drag on earnings, so media companies are dividing back up and print is being kicked to the curb…. Newspapers continue to generate cash and solid earnings, but those results are not enough to satisfy investors. But why accept the free-market economy as “the natural order,” as a force that’s not malleable, and therefore, somehow, not at fault? There once was a time when newspapers operated in a steady state, making healthy profits, producing news about the local communities and overall doing fine. It wasn’t so much the advent of the web that started to edge out newspapers (though the web’s use of newspaper copy free of charge helped). Newsprint really suffered its killing blow during the ravenous era of freebooting finance, starting in the Reagan ’80s, when mergers and acquisitions began to reduce the ownership of local media to a handful of giant corporations. Newspapers’ new owners-–often business people who had no journalism experience at all—demanded higher and higher profit margins that were achievable only by cutting the costs of reporting, including of course labor. Those higher returns were needed to justify higher salaries for the people at the top who were putting those unwieldy mergers together. This whole discussion is a little like the way Republicans today justify kicking people off food stamps so that the 1 percent don’t have to pay higher taxes. And it reminds me of the Stephen Colbert joke about “the market has spoken,” which is based on something Bill O’Reilly says all the time. What’s happened to the news isn’t a perpetrator-less crime.